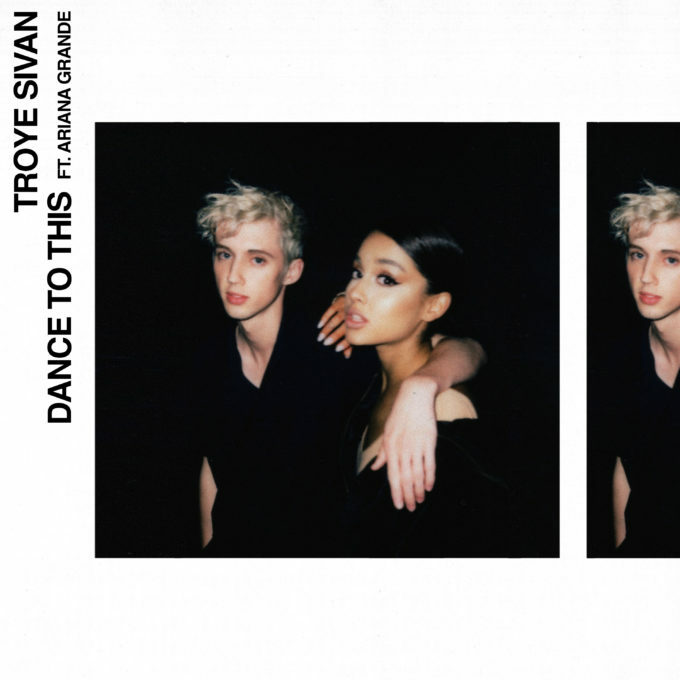 ‘Dance To This’ is the latest single from Troye Sivan’s upcoming album ‘Bloom’. And now it comes with a music video. And just like on the track itself, the music video (see screen grab below) features the woman who duets on it, Ariana Grande. In an old style room full of people absorbed in their own business, Troye takes to the stage and sheepishly begins to perform the track to the room full of colourful characters. As luck would have it, among the crowd watching on is Ariana Grande, who steps up to the (as luck would also have it) second microphone set up on stage! They both warm up slowly before beginning to dance to this groove. The room full of guests are clearly not fans and they all up and leave, allowing Troye and Ari to hit their strides.